The older a septic system gets, the more likely it is to fail. Meaning, the more likely your residential or commercial property is going to develop signs of septic tank drain field failure like slow drainage and even backups. If this is something you are experiencing, the drain field associated with your septic tank may be struggling to perform properly. When you start to notice the signs of drain field failure, call a reliable plumbing company, like KRK Enterprises, Inc., immediately. Failure to do so can lead to damaging problems that will only cost more to repair in the future. For septic tank drainfield services in Fort Pierce and Port St. Lucie, Fl as well as the surrounding areas, contact KRK Enterprises, Inc. at 800-330-7686. There is actually no difference between a leach field and a drainfield. The terms are interchangeable and are used to mean the same thing. A leach field or drain field is a subsurface disposal system that is part of the septic system for a residential or commercial property. These fields can last upwards of 20 years, but that is with regular maintenance. That being said, things can still happen that cause issues with a septic system or a drainfield. To understand what is going on, it is recommended to schedule a septic drainfield inspection. In doing so, a plumber can get an understanding of the condition of the septic tank and drain field. 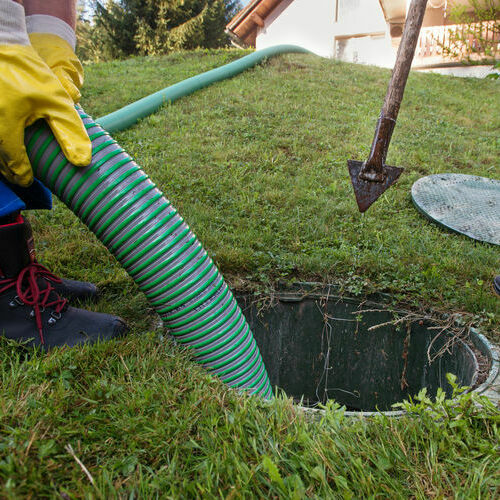 It’s recommended to have regular inspections scheduled for a septic tank and drain field, similar to how you would have regular inspections scheduled for your premium roofing. Once an inspection has been scheduled and completed, your plumber can explain what is going on with your septic tank drain field. Smells near septic tank: Any bad smells emanating from the septic tank can mean that the tank is not draining properly. Standing water near septic tank: Standing water means that the tank is not draining and is actually seeping into your yard. If your yard is flooding from the septic tank, it is time to contact a reputable plumbing company. Slow drainage in tubs and sinks: When your sinks are slow to drain, it can be an indication that the sewer line is not draining properly. Sluggish or slow flushing toilets: Just like a sink drain, when a toilet is slowly flushing, it can also be a sign that the sewer line to a septic tank is clogged. Toilet backups: The most surefire way to know there is any issue with a drainfield is if a toilet is backing up. For service with drainfields, contact KRK Enterprises, Inc.. We are experts with septic tank drainfield services in Fort Pierce and Port St. Lucie, Fl. Call us today, 800-330-7686, to schedule an appointment. Obviously there are many things that are out of a home or business owners control. Not everything is a direct correlation to something an owner did or didn’t do. Regardless of that, any issues need to be addressed as quickly as possible. If needed, filing a claim through insurance can be one direction a client takes. KRK Enterprises, Inc. also works with all major insurance companies. 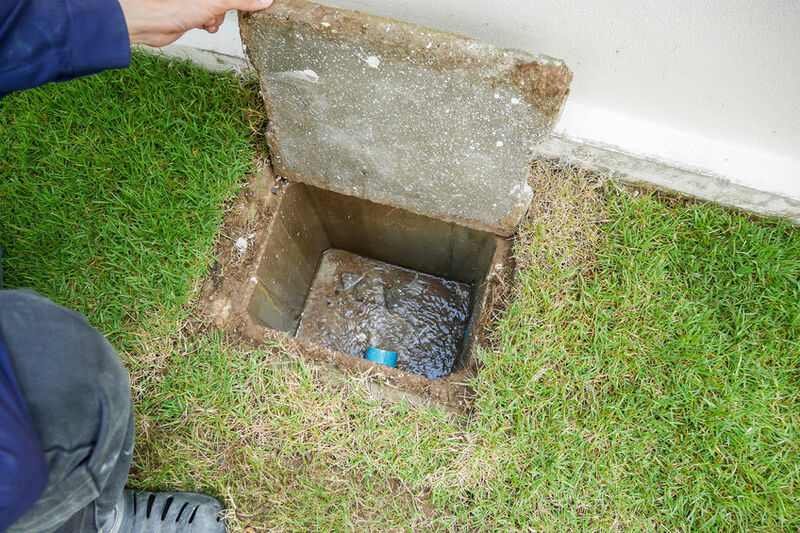 So if you are filing a claim in regards to the septic tank drain field, we are more than willing to work with your insurance provider every step of the way to make sure any and all repair needs are met. How much does it cost to replace a drain field? Depending on the condition of the drain field, it can cost anywhere between $2,000 and $10,000 to replace a drainfield. How long does a septic drain field last? With regular maintenance, a drainfield can last around 10 and 20 years. Can a septic drain field be repaired? If the overall condition of the drainfield is still in good condition, then yes, it can be repaired. How big of a leach field do I need? A typical septic drainfield trench should be about 30” wide by 36” deep. How do you unclog a leach field? An effective means of unclogging a leach field is by utilizing a process known as hydro jetting. This process will thoroughly unclog a leach field. How do you clean a leach field? With a sewer jetter, also known as hydro jetting. This can effectively and thoroughly clean a leach field. 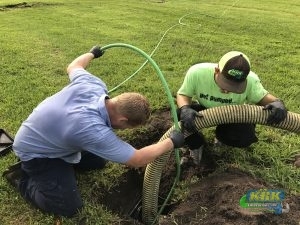 When you need expert septic tank drain field services in Fort Pierce and Port St. Lucie, Fl, contact KRK Enterprises, Inc.. We are the leading plumbing company in your area, with years of experience and competitive pricing. Call KRK Enterprises, Inc. today, 800-330-7686, for septic tank drain field services in Fort Pierce and Port St. Lucie, Fl, as well as the surrounding areas. ← What Can I Do With Old Cooking Oil?